Directions For adults and children age 2 and over: Remove tamper evident seal from neck of bottle. Twist cap off bottle. Squeeze plastic tip to release 2-3 drops into eye. 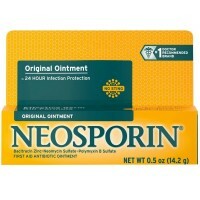 Apply 3-4 times per day. Replace cap after use. If desired, use with a warm, moistened washcloth placed directly on eyelid. Active ingredients are microdiluted in accordance with the Homeopathic Pharmacopoeia of the United States, and are therefore non-toxic and have no known side effects. Uses According to homeopathic principles, the active ingredients in this medication temporarily relieve minor symptoms associated with styes, such as: redness, painful swelling, tearing. 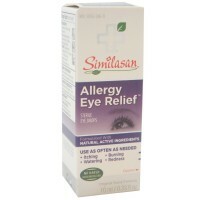 Similasan Stye Eye Relief eye drops are a unique Active Response Formula medicine that stimulates the eye's natural ability to temporarily relieve symptoms of styes, such as painful swelling, redness, and tearing. The active ingredients in this sting-free formula have no known side effects or drug interactions. 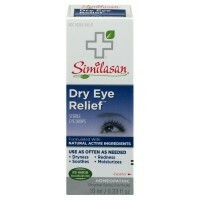 Similasan eye drops contain no harsh chemicals and will not cause reliance or the rebound effect. Safe for all ages. 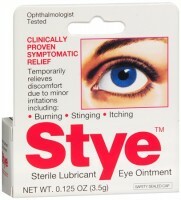 Warnings The purpose of this product is to provide temporary relief of stye symptoms, and is not a cure for styes. For external use only. Initial exacerbation of symptoms may occur. Use only if bottle seal is intact. Replace cap tightly after every use. To avoid contamination, do not touch the tip of the container to any surface. Discard open bottle after 30 days. Contact wearers: consult a physician prior to using. If swallowed, get medical help or contact a Poison Control Center right away. Do not use: If the solution changes color or becomes cloudy. If condition is accompanied by fever. Stop use and ask a doctor if: Symptoms worsen or persist for more than 72 hours. Changes in vision occur. You experience eye pain. The stye enlarges. The stye opens, draining discharge or pus into the eye.